Health guru or not, we generally let our healthy routines slip — even in the slightest — during the holiday season. Maybe we eat foods we aren’t accustomed to, skip workout days or drink more alcohol than usual. It’s a challenge to stay “on” during this time, but we allow it because of tradition. And our hope is that our love for family and friends will carry us through the holidays, free of guilt and sickness. Then reality sinks in. We start the New Year feeling sluggish, low energy and unmotivated. We want to so badly get back on track, but it’s hard to step out of the hole we’ve unintentionally created. So how can we manage guilty-free fun at holiday parties and gatherings while simultaneously handling the harsh reality of repeated exposure to toxins? What are some simple, quick hacks that we can put into practice before, during and after our indulgent moments to cleanse our systems and maintain our vitality? This one sounds simple, but staying hydrated is very often pushed to the back seat in social situations. My suggestion is to drink a tall glass of water before heading out the door and again between alcoholic drinks. This prevents dehydration and the ensuing constipation and fatigue. I often bring a water bottle with me to ensure instant access. Even if you store it in your bag and only notice it on the way out, it’s a great way to remind yourself to re-hydrate at the end of the night. Yes, we all know how to breathe, but how many of us are actually intentional about our breathing? The practice of bringing your attention to your breath can be very helpful in social and stressful situations. Stop and take a few deep breaths, allowing your mind to clear and body to relax. It’s calming, grounding and prior to a meal, it’ll help activate your digestion. To help you remember, place a sticky note on your smartphone or set a vibrating alarm on your device. If you overload your system and can’t properly digest the food you eat, your body can’t process, absorb or eliminate it effectively. The result: discomfort, gas, bloating, and in some cases, inflammation and low energy. Poor breakdown of food is common in social environments when you’re trying to get the food in your mouth quickly so you can get back to chatting. 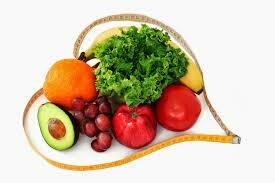 The quickest fix is simply to chew your food and manage your portions. But in the case that you didn’t or if you’ve over-eaten, you can give your system a boost by taking digestive enzyme supplements. Fiber is the unsung hero of regulating energy and digestion. It’ll help you manage spikes in blood sugar by slowing down your digestion and it’ll keep your bowels moving regularly. Fiber is found in plant-based foods in their most unprocessed form like nuts, seeds, whole grains, fruits and vegetables. 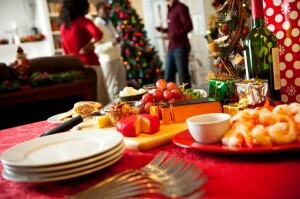 While at your party, identify some fibrous foods to complement the processed and sugary treats. And before going to bed, have a fiber supplement to make sure you wake up with happy bowels. Soaked chia seeds are my go-to source for fiber, but there are several to choose from. Alcohol is often the great lubricator of our festive traditions and given the high volume of parties over the holidays, you’ll want a strategy to support your liver. Why? It’s the ultimate detoxification system and energy regulator in the body and when it’s stressed or overloaded, it doesn’t work so well. The liver relies on the activity of vitamins and minerals to help it with detoxification but these agents often get depleted during instances of toxic overload. So make sure to load up on foods that will help reduce alcohol toxicity. Besides supporting you over the holidays, these detox hacks can also be applied daily to maintain long-term optimal health. If you feel great over the holidays using these hacks, why not include these as part of your new year’s wellness plan?